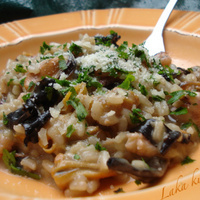 This mussel, prawn and porcini risotto is creamy, silky and aromatic. Soak the dried mushrooms in boiling water for 20-30 minutes or until soft and plumped. In large skillet, heat wine over medium flame and add garlic for 1 minute. 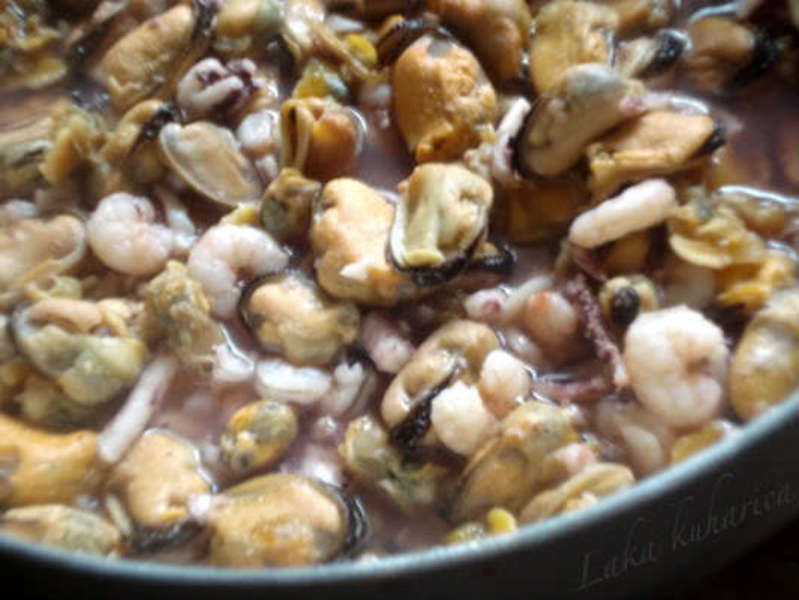 Add shrimp and mussels, simmer for 3-4 minutes on low heat. Remove from heat, leave them in the wine. Take the mushrooms out of the liquid and squeeze out some of the juice back into the bowl. If it's "gritty", strain the grit out. Add the cleaned mushrooms liquid and the mushrooms themselves to the simmering chicken stock, stir. Heat olive oil in a large, deep saucepan, add onion and fennel, stir well. 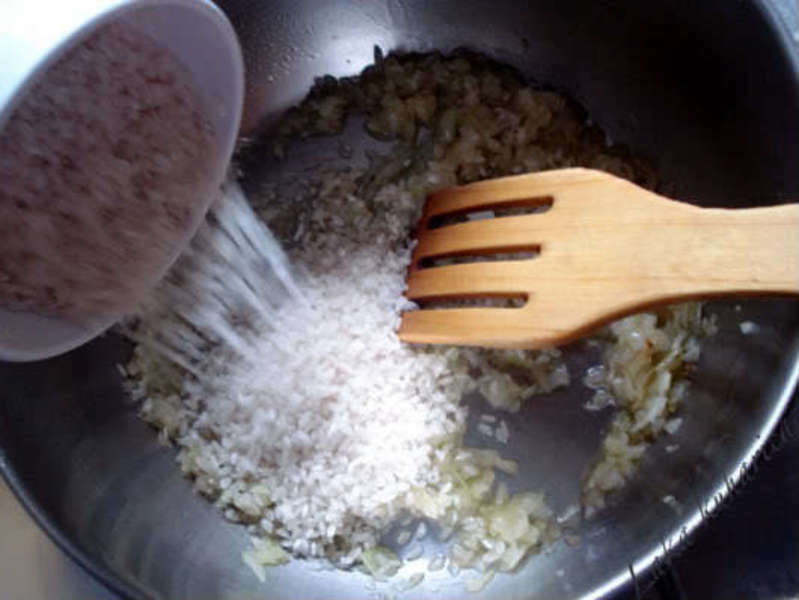 Add rice, toss to coat it well with oil (this allows the rice to absorb the cooking juices slowly and liquid and assists in producing the creamy texture and taste of a good risotto!). 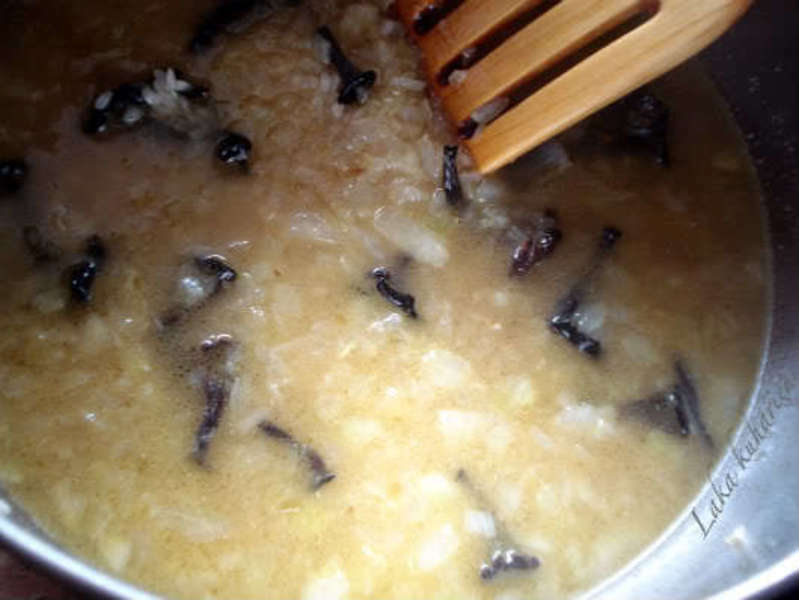 Add 1-2 ladles of the hot stock, stir a little, make sure the risotto is completely covered with juices and reduce the heat to low. Let it simmer for a few minutes, until the liquid is absorbed. Repeat for about 15 minutes. 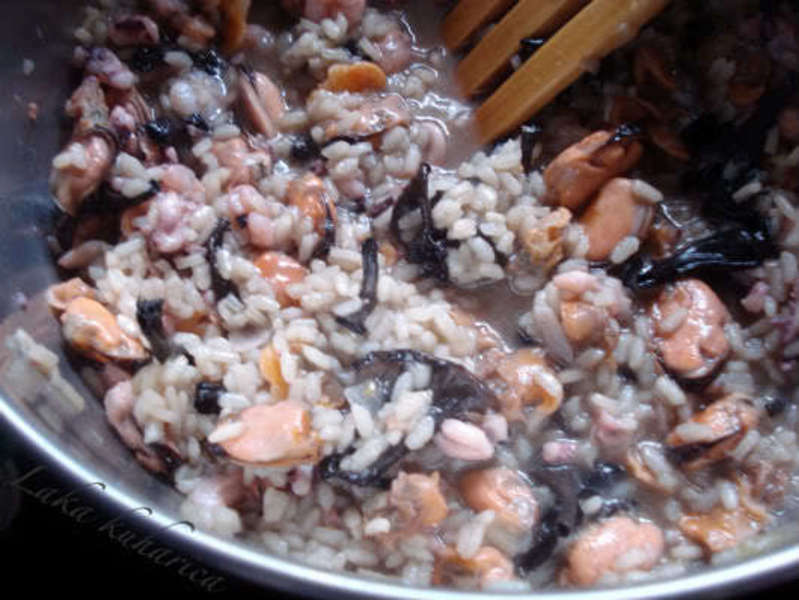 Add the seafood and wine to the risotto, stir and simmer until the liquid reduces to half. Check if the rice is tender enough (al dente, take care not overcooked!). Add the cheese and butter, stir thoroughly and continue to cook the risotto until almost all of the liquid has been absorbed. Remove from the heat. 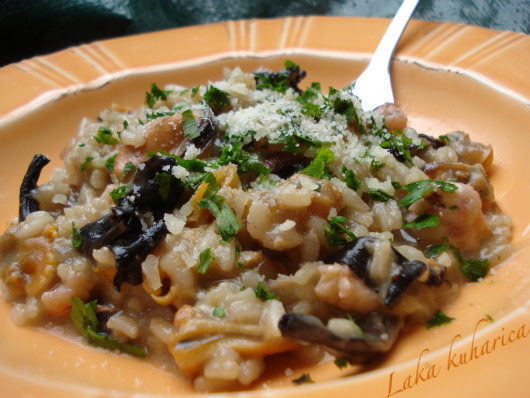 Let the risotto stand for 5-7 minutes to meld all the flavours. Serve topped with cheese and chopped parsley.